When you first begin using number lines with young children, use concrete objects to help them conceptually understand counting and cardinality. 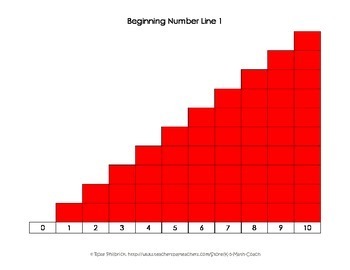 The first number lines children make are often by stacking blocks. 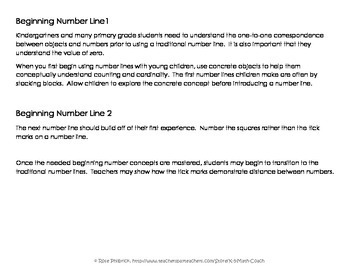 Allow children to explore the concrete concept before introducing a number line. Activity: Allow students to stack blocks or connect snapping cubes to show an increase of one between each stack. Encourage left to right increase as this will be consistent with future concepts. 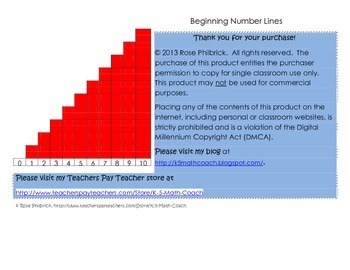 Use this opportunity for student to count and visually see how the numbers compare. Which is more? 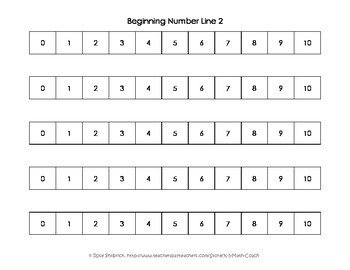 Beginning number line templates are included.